General Electric Company (NYSE:GE) embarks on a new era as a new CEO takes the helm and leaves his mark on the company. John L. Flannery took over from former CEO Jeffrey Immelt, who left the position after running the company for nearly 16 years. Now, a new leadership brings new thinking that will bring changes to the company. This leaves investors wondering if a new direction gives buyers a reason to purchase GE stock. The Jeff Immelt era at GE was brutal for GE stock. In September 2001, Immelt inherited a market capitalization of just over $402 billion. When he left GE 16 years later, the market capitalization stood at just under $222 billion. In comparison, Immelt’s predecessor John F. Welch Jr. took GE’s market cap from $13 billion in April 1981 to over $400 billion 20 years later. Conversely, the first years of the 21st century served as a period of growth for other long-time companies and competitors such as United Technologies Corporation (NYSE:UTX), Boeing Co (NYSE:BA), or Honeywell International Inc. (NYSE:HON), a company Jack Welch attempted to buy outright before he left the CEO job. The question weighing on GE’s current shareholders is will Flannery return GE to the glory days of the Jack Welch era, or will it continue the pattern of decline started under Immelt? The short answer is “too early to tell.” So far, Flannery has cut earnings estimates and admitted any turnaround would take time. However, this could mark the beginning of a painful hangover phase GE needs to return to sobriety again. One painful step in a necessary restructuring will likely involve a cut in GE’s dividend. GE first cut its dividend (at least in this century) during the 2007-09 financial crisis. It has increased payouts every year since. Equities like GE stock attract investors in large measure on steady, slowly increasing dividend payouts. The threat of losing these investors often persuades management not to cut a dividend. However, with the cost of restructuring mounting, Mr. Flannery indicated the dividend cut is likely forthcoming. The cut is being forced by financial realities. On October 30, Fitch cut its rating on GE’s debt from stable to negative. Struggles in GE’s Power and Oil and Gas segments have reduced operating cash flow for 2017 to $7 billion. The dividend costs over $8 billion per year to maintain. If GE’s history is any indication, a dividend cut announcement could serve as a buy signal after the expected knee-jerk reaction. GE announced its first dividend cut since the Great Depression on February 27, 2009. Over the next week, GE stock fell from the low $9s per share to the mid-$6 range. During the next week, the stock had returned to the mid $9s per share. Two months after the announcement, the stock traded at over $12 per share. Hence, shareholders should not necessarily view this news negatively. Moreover, Flannery has announced a planned restructuring. GE plans to sell $20 billion of the company’s underperforming assets over the next 1-2 years. Additionally, the company plans $2 billion in cost reductions and will reduce the amount of cash set aside for share repurchases. Changes are also coming at the top. Flannery is making changes to GE’s Board of Directors, including naming an activist investor to the board. Jamie Miller, CEO of GE Transportation, has just become the new CFO. Vice chairs Beth Comstock and John Rice will leave the company as well. CEO John Flannery has made moves that will change GE. The new direction of the company and will create a great buying opportunity on GE stock — soon. The GE stock price suffered for many years during the Jeff Immelt era. However, a turnaround for the stock may be coming soon. 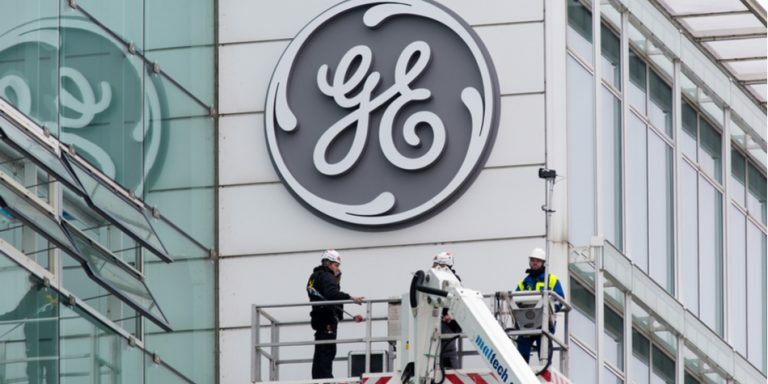 While painful, a dividend cut, cost reductions, and the selling of assets could serve as the medicine GE needs to purge unprofitable endeavors and return the company to growth. With this fresh start, perhaps GE can return to the kind of growth not seen since Jack Welch served as CEO. Article printed from InvestorPlace Media, https://investorplace.com/2017/11/buy-general-electric-company-stock-after-it-cuts-dividend/.